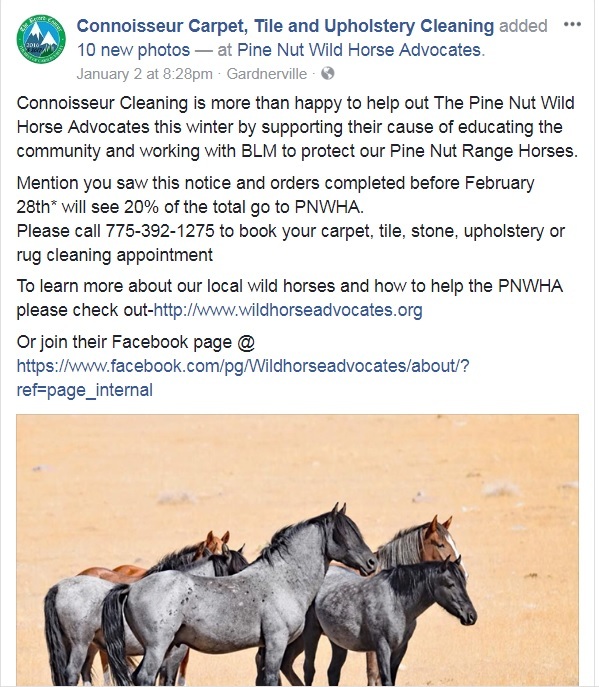 Helping the Pine Nut Mountains Wild Horses.. – The Connoisseur Carpet Cleaning blog. Connoisseur’s Nevada location ran this fund raiser on Facebook for January and February 2018. 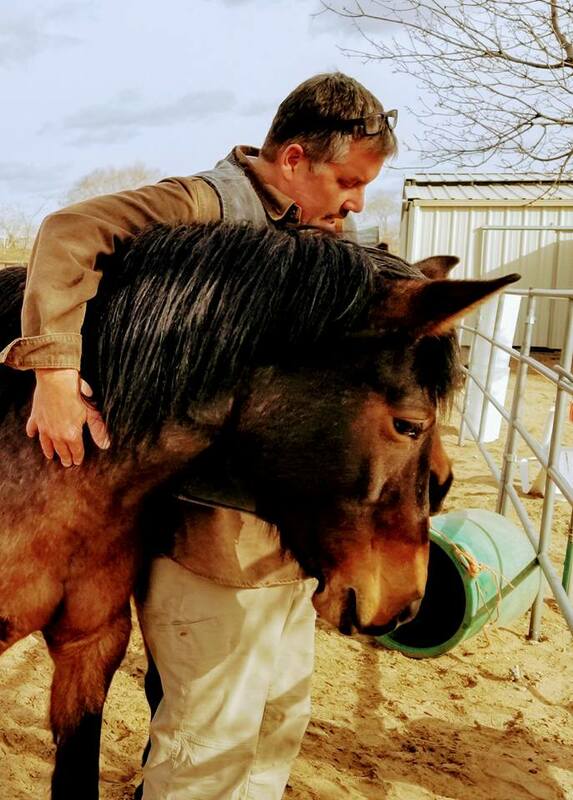 Between their 4 dogs, ten chickens, 2 cats and the two Mustangs, our dog Hula is gonna go NUTS when I get home. 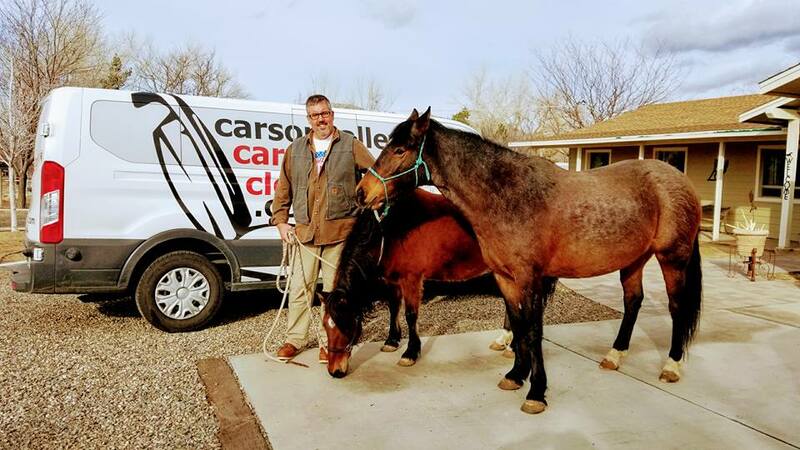 They had me out to take care of thier floors today and to take advantage of our Pine Nuts Mountains Wild Horse fundraiser. Probably took me an hour to clean the carpet and 3 hours to meet all the critters.